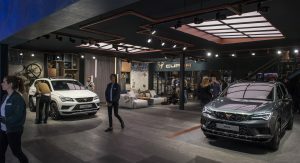 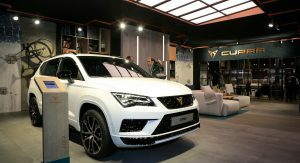 Cupra, Seat’s now standalone high-performance brand, is officially entering our lives with a very fast version of the Ateca SUV that made its debut at the Geneva Motor Show. 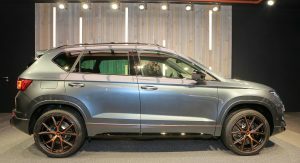 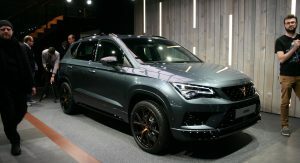 The Spanish SUV is now powered by Group VW’s 2.0-liter TSI engine that produces 296hp (300PS) and 295lb-ft (400Nm) of peak torque, and is paired to a newly developed seven-speed dual-clutch transmission. 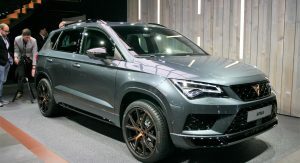 The combination of the dual-clutch transmission with the all-wheel drive is a very effective one when it comes to straight-line performance: the Cupra Ateca is capable of a 0-62mph (100km/h) in 5.4 seconds and of a top speed of 152mph (245km/h). 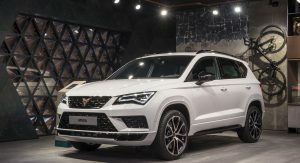 The hot SUV rides on adaptive suspension that can be configured through the Drive Profile modes: Normal, Sport, Individual, Snow, Off-Road and CUPRA. 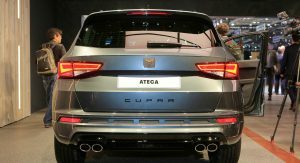 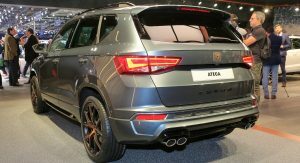 On the outside, the Cupra Ateca distinguishes itself from its lesser siblings with a more aggressive body kit that includes new bumpers, side sills, a rear spoiler and a new honeycomb grille. 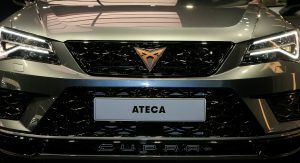 The front end proudly wears the new Cupra logo, which was met with mixed reviews by our readers. 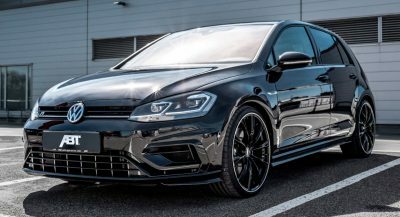 The exterior revisions are completed with glossy black details, matt aluminum Cupra letters, quad exhausts and a set of 19-inch alloys. 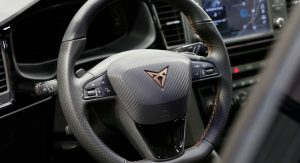 Inside the cabin is dressed with lots of Alcantara and features aluminum pedals and glossy black trim details. 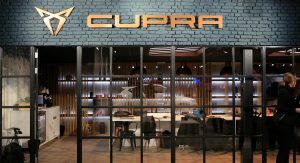 Cupra will also offer an optional Performance pack which includes bigger Brembo brakes, carbon detailing inside and out, as well as leather seats. 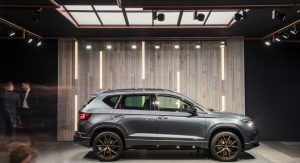 Customers will be able to opt for a set of exclusive bucket seats from mid-2019. 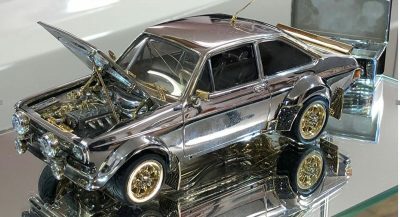 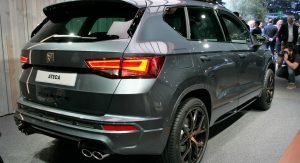 Who wants a performance SUV? 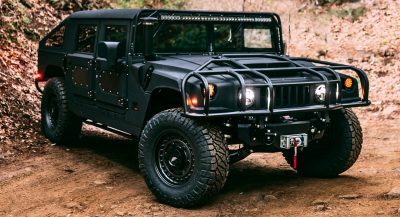 You’re kidding right??? 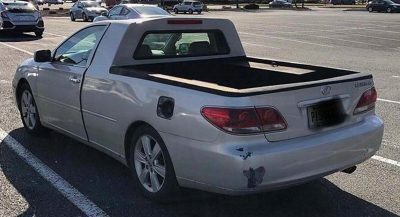 Dads who can’t get a performance car. 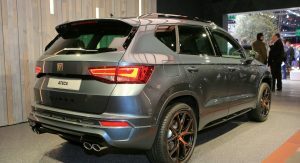 It’s not a SUV shaped hot hatch, but a SUV with the engine form a hot hatch. There is a thing called physics (weight, center of gravity, etc…) that will never make a SUV a hot hatch. 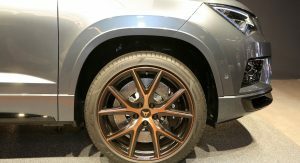 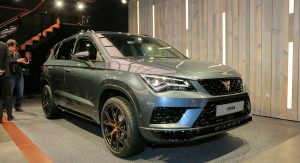 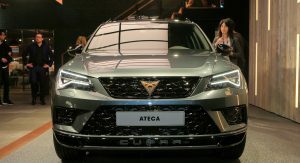 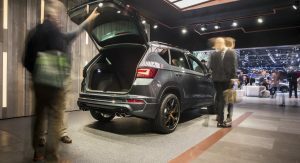 This will be fast in a straight line and super hard (the normal Ateca already has very little ride comfort, so it can claim “near car like handling”) so it doesn’t roll too much, but still in absolute terms it will certainly drive a lot worse than even the least favorite hot hatch, let alone it’s stablemate Leon Cupra…. 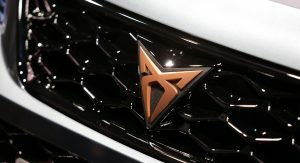 And then I still haven#t talked about the stupidity of the stand alone brand. 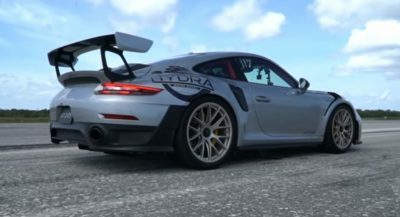 Buuuut… it will have space to go on holiday! 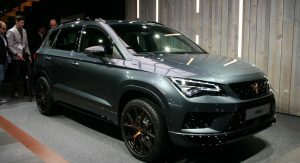 Well SUV aren’t known for their dynamics but maybe Seat can lead the market on affordable high performance SUV.